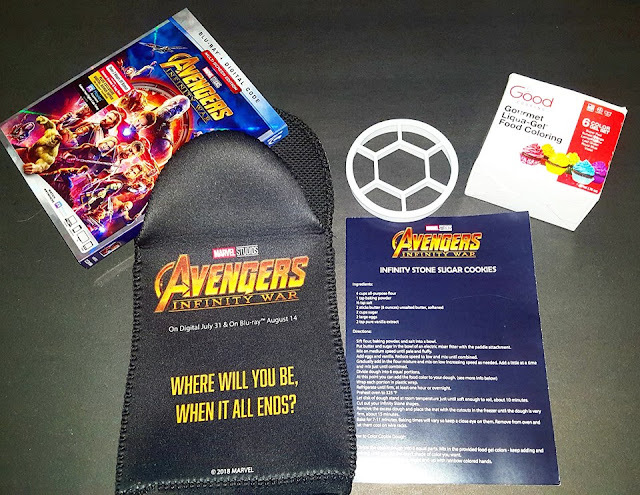 I don't want to give away to much for those that have not seen AVENGERS: INFINITY WAR, but what the heck are you waiting for? This is the BEST AVENGERS movie so far! Our family sent and seen it when 1st premiered in the movie theaters and I absolutely could not wait for it to arrive in our home! 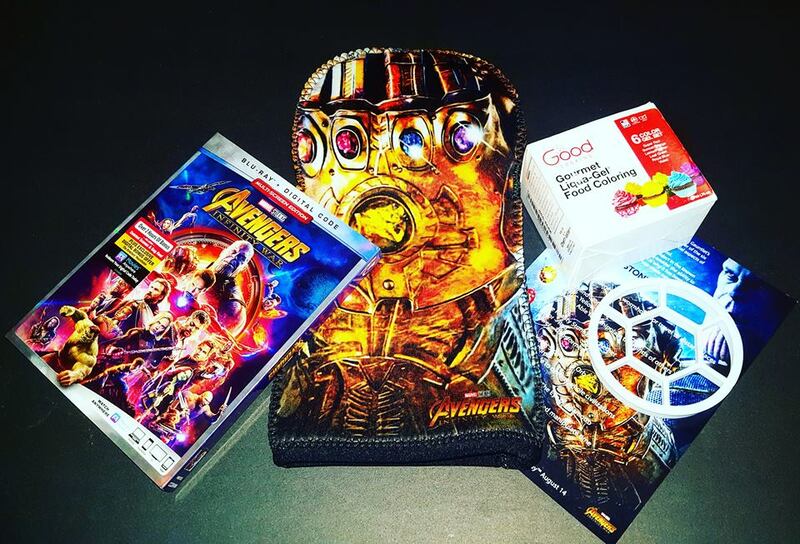 We were over the moon to be picked to receive an advanced copy along with a few other goodies to go along with it for our viewing pleasure! Avengers: INFINITY WAR delivers on all the action and adventure we have come to expect from Marvel! Bringing all our favorite heroes together to fight evil in one movie was absolutely mind-blowing and heartbreaking all in one.....shhhh still trying not to give it away! It's a must have for any Marvel fan! Marvel makes cinematic history as the Super Hero team of a lifetime assemble for the first time ever in this action-packed blockbuster! Packed with spectacular visual effects, Marvel's The Avengers will blow your mind and now for the first time on 4K Ultra HD! Good intentions wreak havoc when Tony Stark (Robert Downey Jr.) unwittingly creates Ultron, an A.I. monster who vows to achieve “world peace” via mass extinction. 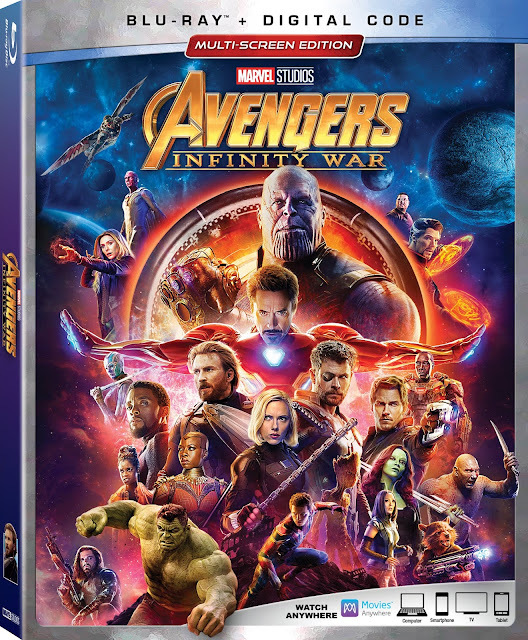 Now for the first time on 4K Ultra HD, the Avengers must reassemble to defeat him and save mankind…if they can! For over 90 years, The Walt Disney Studios has been the foundation on which The Walt Disney Company was built. Today, the Studio brings quality movies, musicplays to consumers throughout the world. Feature films are released under the following banners: Disney, including Walt Disney Animation Studios and Pixar Animation Studios; Disneynature; Marvel Studios; and Lucasfilm. The Disney Music Group encompasses the Walt Disney Records and Hollywood Records labels, as well as Disney Music Publishing. The Disney Theatrical Group produces and licenses live events, including Disney on Broadway, Disney On Ice and Disney Live!